My mother was always fond of flowers. Wherever we lived, she planted bulbs and weeded flower beds. Our yard was never elaborate or manicured, and she certainly never read gardening books or drew plans. But I remember four o’clocks which bloomed in the evening shade, and beds of zinnias and marigolds scorching in the summer sun. She planted tiger lilies on the edges of the back yard at the house we lived in when I was in elementary school and phlox clinging to a rocky outcropping by the kitchen door. When we moved to the farm someone gave Mother several varieties of irises. Some of them were the classic purple ones which are the state flower of Tennessee. Others had huge blossoms in unusual colors, including peach. They were the last of the bulbs to bloom each spring (technically speaking, they grew from rhizomes) and gave us a week or two of glory before the heat set in. In order to keep them blooming year after year, the rhizomes have to be thinned out. Mother gave some to my sister Sherrie, who planted them in her yard. As recently as three years ago they were still blossoming. I’m not sure how some of Sherrie’s rhizomes got to my niece Judy in Ohio, but they did. 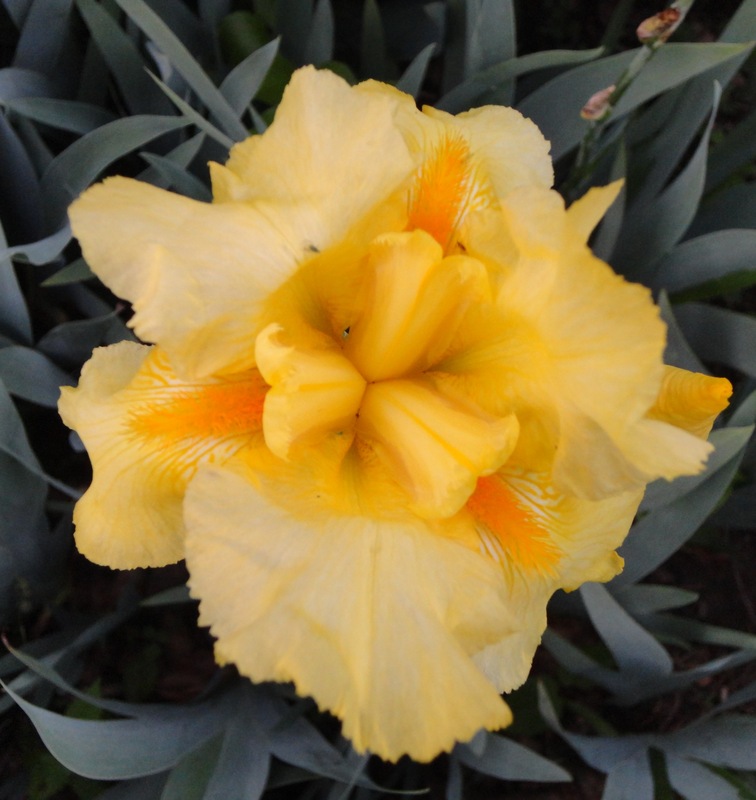 The photo is of a peach-colored iris blooming in Judy’s yard this spring. She has two plants that still come up and flower, descendants of the original stock that was planted in the late ’60s on our farm. Out of those roots….maybe they will last long enough to provide rhizomes for another generation, another yard, more springs.